We recently met friends for dinner at Balsam Mountain Inn, a large “railroad hotel” built in 1908 with a train station right in front. 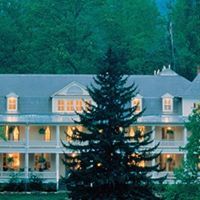 Before the days of air conditioning, it was a popular summer spot for vacationers from the cities; the Inn is at 3500 feet elevation. The floor of the sun porch, where we ate, had an elaborate pattern made up of those one inch tiles that were common in the early 20th Century. We were told the floor is not “original equipment” but it is in keeping with the period. A friend took some pictures of the floor for me, since I immediately wanted to document the pattern for possible use in designing quilts. These were taken with my cell phone in low light, so the quality is not great, but I thought you’d like to see the floor anyway. You can look up Balsam Mountain Inn on Trip Advisor and see better pictures of the floor as well as the Inn. This is the one that first caught my eye as a potential motif for a quilt. And here is a design I made with EQ8 based on the floor. I think it is way too fussy for me to ever make as a quilt. It would make a better embroidery design. This entry was posted in Quilt Design, Quilting by zippyquilts. Bookmark the permalink. I love finding interesting “floors” that look like quilts when I travel. Good job with the EQ8 version. I imagined if those were 2″ squares it would be quite a sizeable quilt! The website for the hotel gives an interesting history, and the menu bits I could see made my mouth water. I hope the food was lovely in person. The food was good and the restaurant was quiet–very important for a peaceful meal with friends! I think it would make a nice quilt — but oh the work! I still get tired just thinking about the time I pixelated a photo from the Hubble Telescope and made it with 2 inch squares. It is huge, hanging on my bedroom wall and not going anywhere. That one is mine. 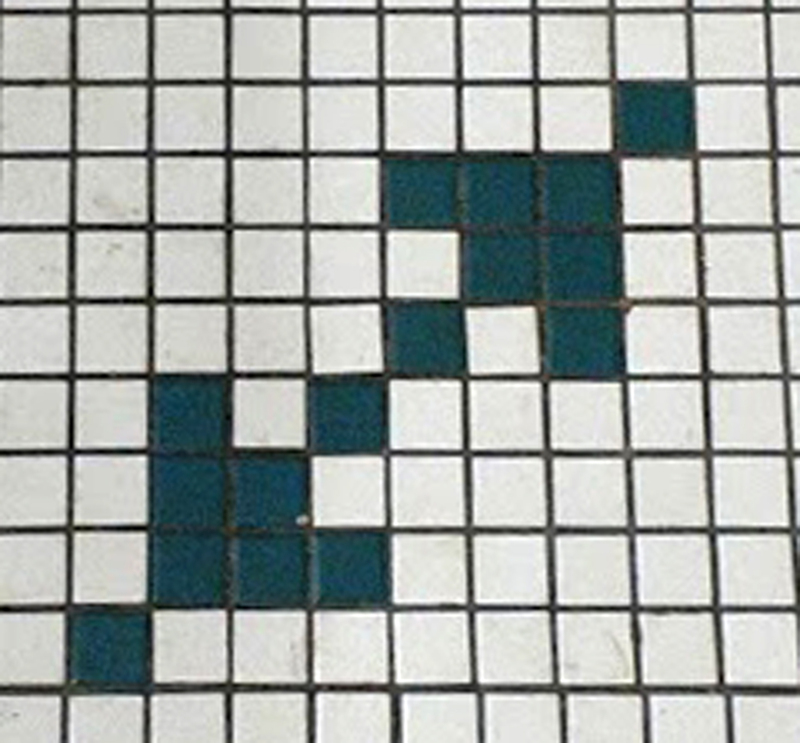 I think the tile design would also be quite lovely as a cross stitch piece. 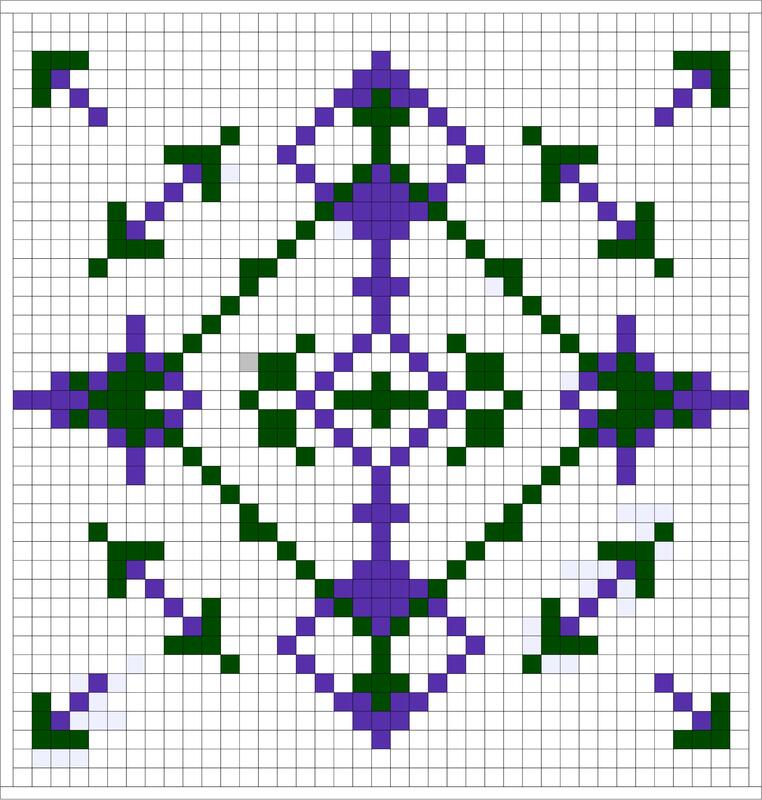 Pattern would be better as cross stitch than as a quilt, I think. Oooo – I think the single tile floor motif would look great suspended/scattered a few select places along the surface of a contemporary quilt…got my creative juices up on this one, Zippy! Sounds like you met at a pretty cool place for dinner!